When I had my website revamped I lost my old blog site. This is a post from a couple of years ago. . .I’m reposting it as I think it’s a story that still needs hearing. . .
Last month at a networking event I met Courtney, an events manager at a major downtown LA venue. During our conversation, Courtney shared with me the extraordinary and near tragic story of her wedding. Hers is a cautionary tale and I suspect that it’s a story too many brides can relate to. I’m grateful to Courtney for letting me post her story and I admire both her courage and the courage of her husband. . . I got married on August 18, 2013. 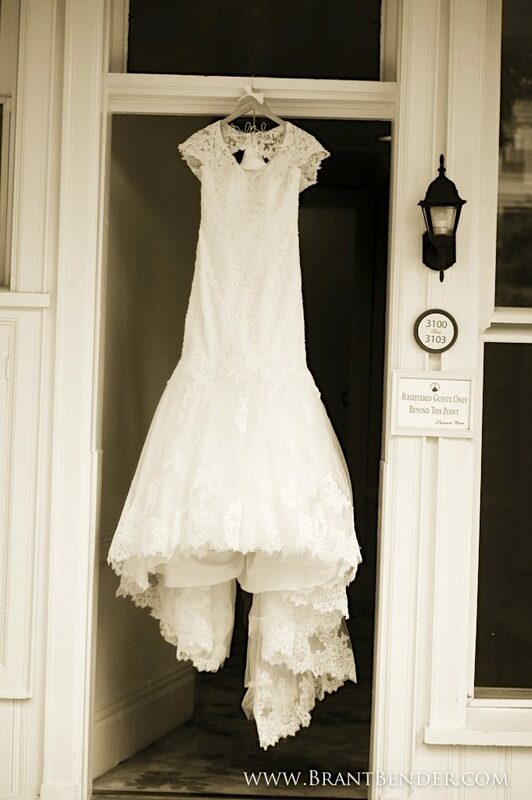 A couple of months leading up to our big day, I became obsessed with being a “skinny” bride. I tried the best I could by working out six times a week and keeping to a healthy diet but I couldn’t lose any weight. Although I’ve been thin most of my life, I wasn’t going to settle for being 143 pounds and unable to fit into my Size 2 wedding dress. Then I hit on the seemingly perfect solution. Since I suffer from migraines, I pleaded with my doctor to prescribe a migraine medicine that also has a side effect – weight loss. As I swallowed the first 25 mg pill, I remember feeling excited that my world was about to change. It did, but not for the better. The first signs of trouble started when I began to feel numbness in my feet and hands. I could no longer taste the carbonation in sodas and experienced hallucinations at a dinner with some friends. Since all I cared about was the weight loss, I ignored these side effects because I had lost ten pounds in just one month. In the second month, the side effects mounted. I had difficulty speaking and was constantly repeating myself and unable to finish sentences. As horrible as these side effects were, I deluded myself into feeling that this was an acceptable price to pay. In fact, I had my doctor up my dosage to 200 mg because I still had another eight pounds to lose. I was determined to make my fantasy a reality. By my wedding day I had reached 128 pounds! Although I had hit my goal weight and looked beautiful, on the inside I was a mess. I was irritable and forced to hide my inner turmoil with a smile. During the ceremony, I stared into the eyes of my husband and felt like a hollow shell. My body was foreign to me. I had to maintain this charade for hours and barely kept it together. Only those who’ve known me for years could see the distance in my eyes and sense that something wasn’t right. Later, what should have been a night filled with passionate romance turned into a marathon of hysterical crying. My husband and I didn’t know what to do. We thought it was the result of the “routine” stress that some brides go through. What we didn’t know was that this breakdown was just the beginning. A few days later we embarked on an eleven-day honeymoon that began in Lake Como, Italy and was supposed to finish in the Greek Islands. We never made it to Greece. I became so depressed and disassociated from myself that I couldn’t even recognize my husband. I was hallucinating, barraged with scary thoughts of self destruction. I told my husband that I wanted to jump off a cliff and was consumed with suicidal ideations. We flew home immediately but my nightmare only escalated. At one point I was rushed to the hospital because I didn’t even know who I was. I was convinced that either I had had a stroke or was suffering from dementia. I said such hurtful things to my husband that we were on the verge of separating. It wasn’t until a friend asked, “Do you think the medicine you were taking for your migraines/weight loss is causing all of this?” that I realized there could be another explanation for why this was happening to me. I was shocked to discover all the horrible side effects that the drug I had taken could cause. I was angry with myself and I resented my doctor who could have prevented this from happening. But my anger was also mixed with relief – maybe there was hope. I insisted that my doctor take me off this “poison.” However, I couldn’t go “cold turkey” because of the risk of an epileptic seizure; I had to slowly taper off the drug. I will never forget the day after I swallowed the last pill. It really was like flicking on a light switch in my mind – I was back! Finally, once again, I was calm, happy and remembered all of the feelings I had for my husband, family and friends. Now my tears were tears of joy. The medication ruined a good part of my wedding day, destroyed my honeymoon and almost led me to divorce in the first month of my marriage. Even scarier, it almost took my life. I’m sharing my story because I want to urge you not to fall for society’s obsession with weight loss. Be kind to yourself. Never take a medication without knowing its potential side effects. I wish I first had done my research as I later discovered that hundreds of thousands of people who have taken this medication have experienced similar, if not worse, side effects. I wish I had been content being a little over the weight I had deemed acceptable for my wedding day. I’m ashamed for what I put my mind and my body, my husband, friends and family through. And for what? Some nice pictures where I look thin? Photographs will fade but don’t let your love for “you” fade. I wish I had valued myself enough to accept me for who I am. Please don’t make the same mistake I did. In the end, the risks just aren’t worth it. Born and raised in Los Angeles, Courtney Kanner Fishman has been in the wedding industry for the last ten+ years. She began her career as a wedding planner and now is an events manager.